It's always nice visiting your blog, Juno. Hope you have a lovely Christmas. this sounds so good. i really love the flavor combo too..thanks for sharing this. Yum! 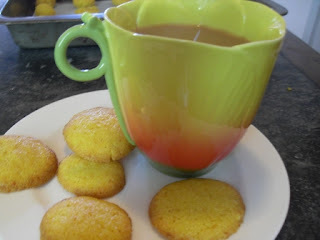 Love polenta or semolina in a cookie, that extra crunch you see, and the idea of pairing it with a bit of orange fragrance, all of it sounds perfect!